Last week in Virginia, the co-founder of the contact management and social networking startup Plaxo was arrested and charged with first-degree murder in the death of his ex-wife's new husband. 38-year-old Minh Nguyen, who co-founded Plaxo with Sean Parker, was arrested Thursday night after he allegedly broke into his ex-wife's home in Ashburn Village and shot and killed Corey Mattison. According to the Loudon County Sheriff's Office, two children were home at the time, and Nguyen's ex-wife and another child returned home during the shooting, but no one else was injured. 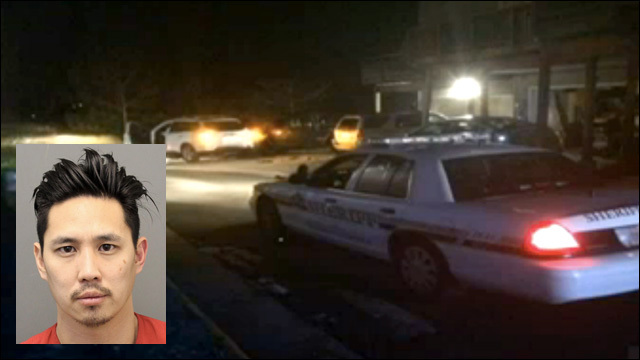 Investigators in the Loudoun County Sheriff’s Office allege Nguyen, 38, shot a man after entering a townhome on the 44200 block of Sonora Lane in Ashburn at 9:30 p.m. Thursday. Spokeswoman Liz Mills identified the victim as Corey Mattison, who had married Nguyen’s ex-wife in recent months. Two children were also in the home, but were not harmed. Nguyen’s ex-wife and a third child returned to the home as the shooting occurred, a department spokeswoman told The Post. Neither were harmed. Nguyen was arrested at the scene and charged with first-degree murder and use of a firearm during the commission of a felony, according to the department. Mills said Monday that additional details may become available later this week. According to neighbors, Nguyen and his wife had been fighting for months over child custody and visitation issues. Nguyen is charged with first-degree murder and use of a firearm during the commission of a felony.